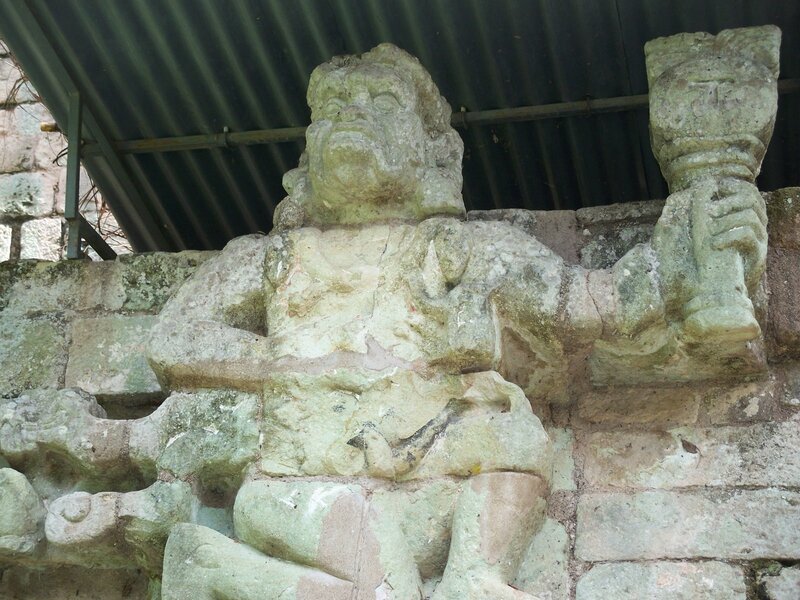 This past weekend we took a trip to Copan, where one of the largest areas of Ancient Mayan ruins is located. 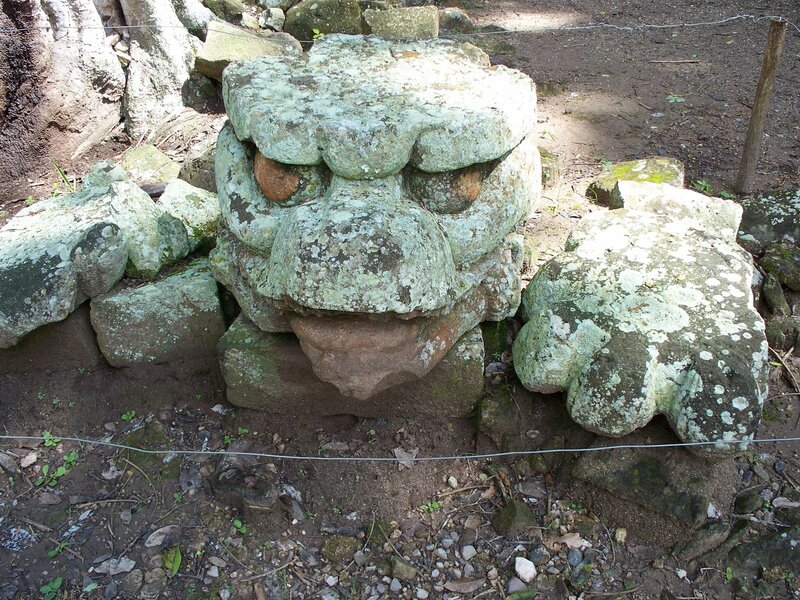 These ruins were buried by jungle for hundreds of years and have only been explored and excavated in the last century. 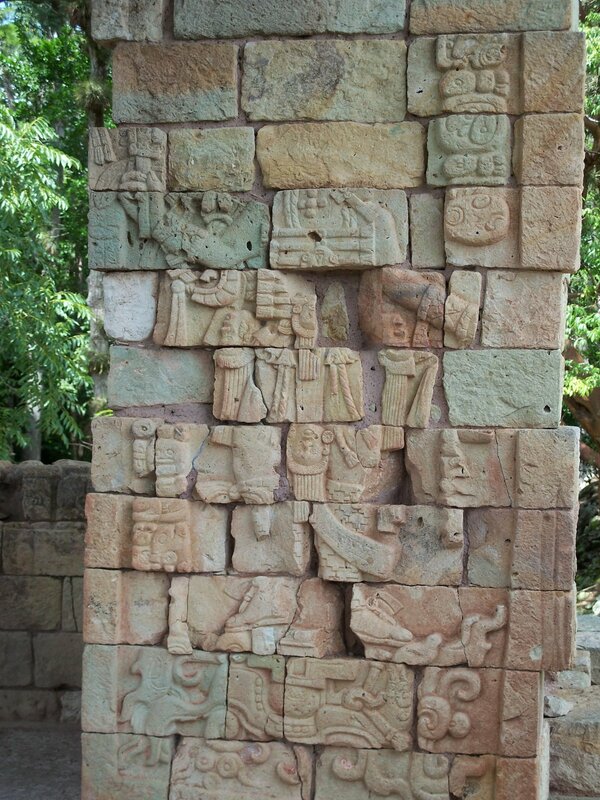 The last reigning Mayan King was in power during the 8th century A.D., but it is believed that people have inhabited the Copan Valley since as long ago as 2000 B.C. 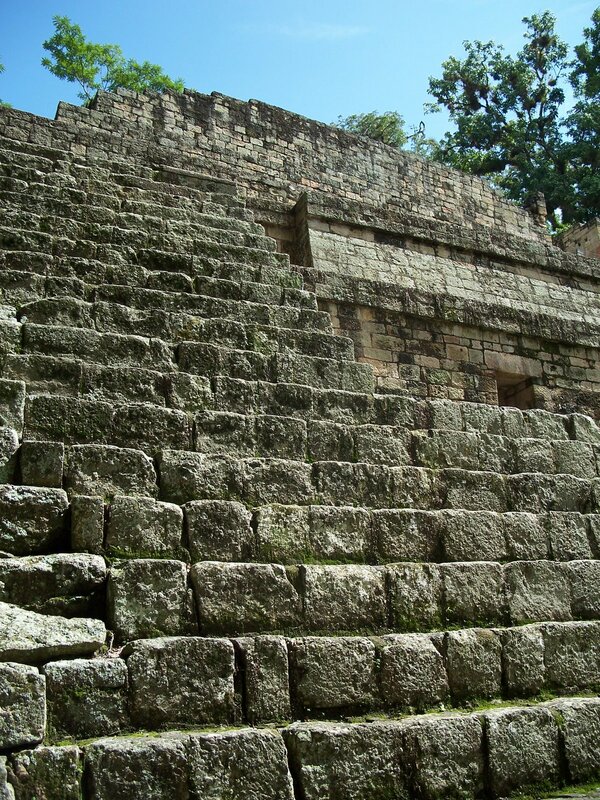 Each King built new temples right on top of the temples of the old King so there is layer after layer of archeological history. The following pictures are just a few images to show you what it looks like. 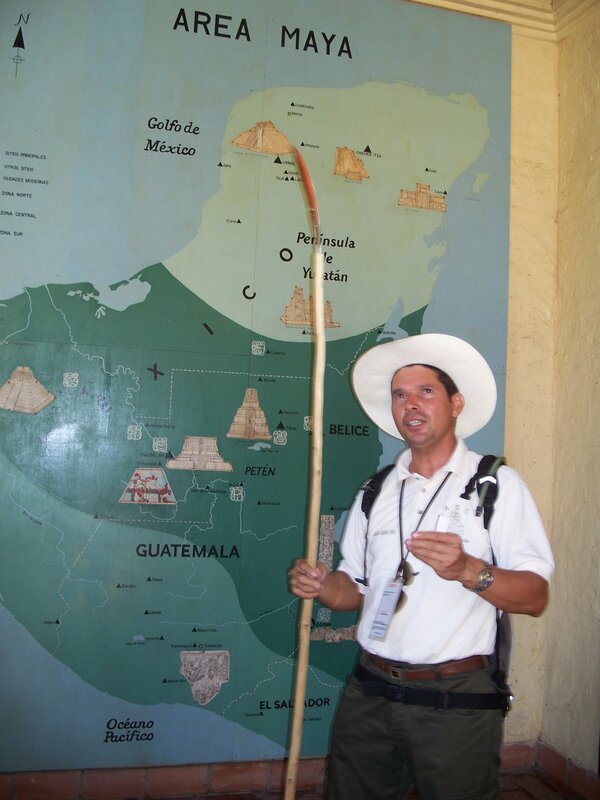 This is our tour guide, Juan Carlos. That’s a whole lotta stairs! 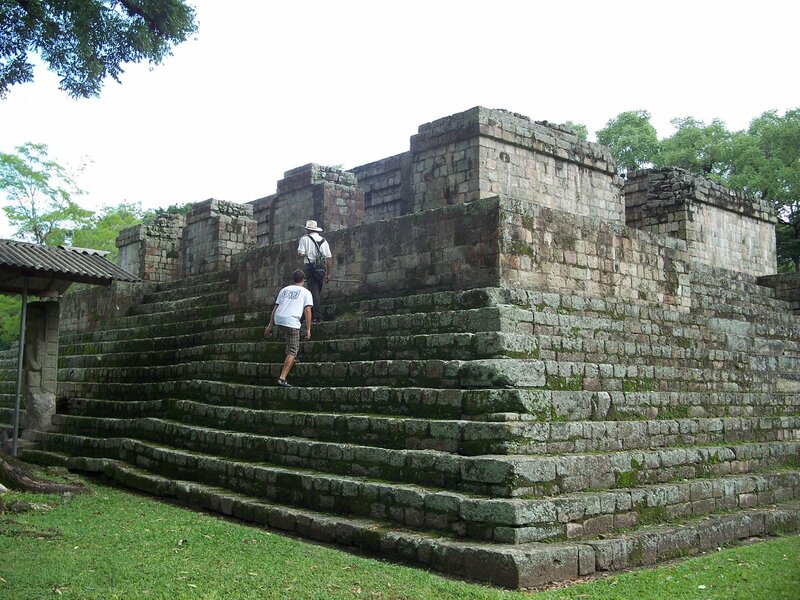 Alex and Juan Carlos headed up the side of a temple. 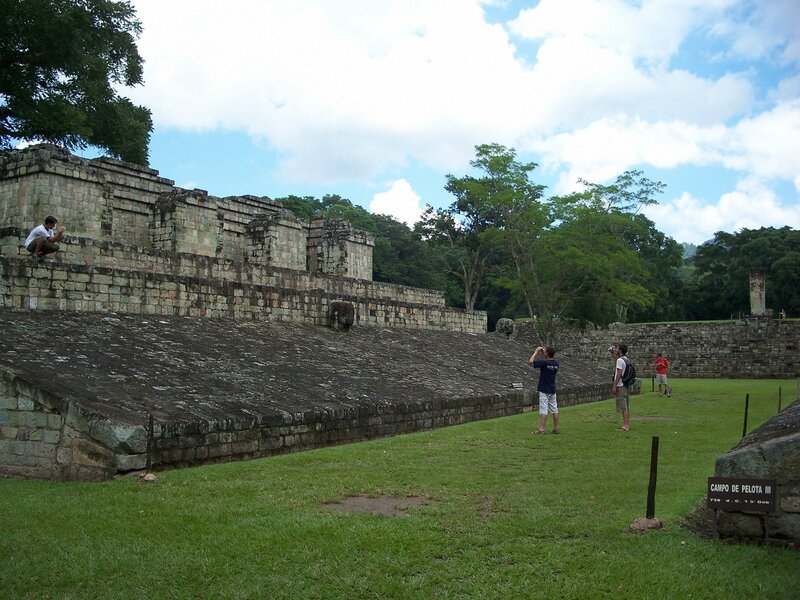 This is the ball court. Sometimes the loser was sacrificed to the gods, but sometimes the winner was so you better check before you play! 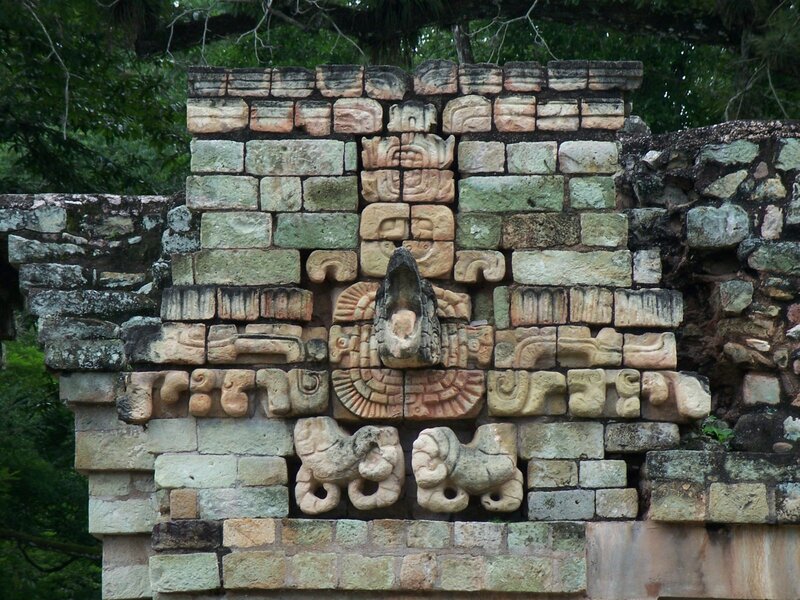 A carving above the changing rooms at the ball court. 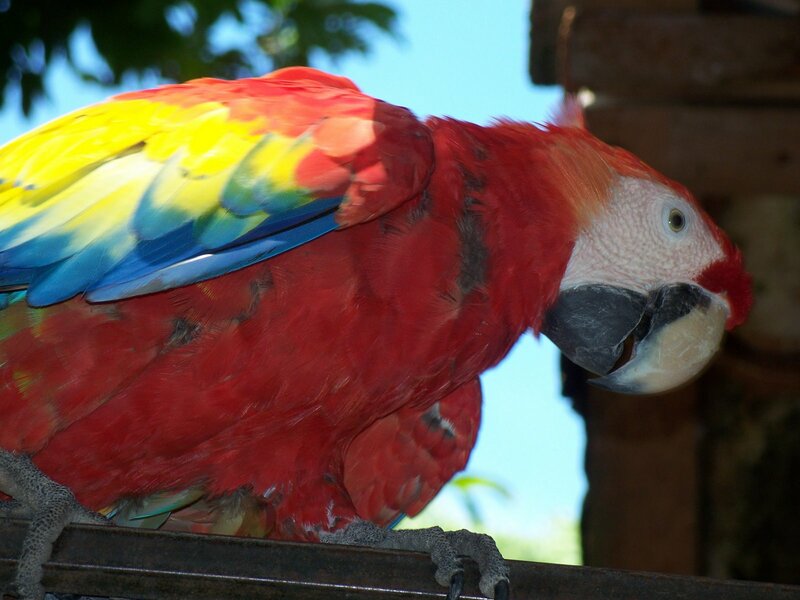 Posted in Honduras, Ruinas, TripsBookmark the permalink.